Hello. I'm Daniel Pipes and I'd like to speculate about the future of Europe. I can see three most likely possibilities. One is, when it comes to Islam, that everybody gets along, all is well, the future generations are better than the present generations, and there's no real problem. I don't think that's likely, although that is the working hypothesis of governments and, more broadly, the establishments: things will work out, we'll muddle through, it'll be okay. But there are two other possibilities which are far more likely. One is that the ascent of Islam, Muslims, Sharia, minarets, Qur'an, Islamic customs, will continue as it has for the last 60 years. Since 1955 and the original agreement between the German and Turkish governments, there has been increase, steadily, in everything Muslim and Islamic. One possible outcome is further extrapolation into the distant future, and, conceivably, a takeover by Muslims of Europe. Europe becomes an extension of North Africa. You have Londonistan and the Islamic Republic of France and so forth. Europe goes from being a primarily Christian continent to being a primarily Muslim one. This is supported by the weak birth rate amongst indigenous Europeans, and of course the substantial amount of Muslims who are arriving and who will likely arrive. The neighborhood of Europe, across the Mediterranean, and not too far from that, is in bad shape. Places like Egypt and Yemen could conceivably churn out millions and tens of millions of refugees. So that's one prospect – that the Islamization of Europe proceeds apace, Europe becomes Eurabia. But there is another alternative, which I, frankly, find more likely, and that is that Europeans say "No, enough, we don't like this." Native indigenous, non-Muslim Europeans still number about 95 percent of the population, and should they say no then no it will be. 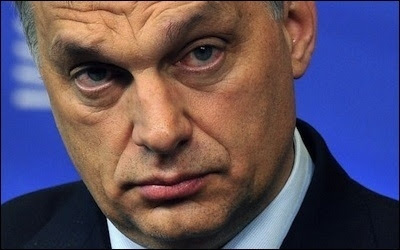 Hungarian Prime Minister Viktor Orbán has been denounced by Western media as "xenophobic" for his opposition to taking in Muslim refugees. There are reasons to think that this resistance is building: it started later than the Muslim immigration of the mid-1950s. It began, I would say, with the Rushdie affair of 1989, and it is proceeding quickly. One can see it in polls. One can see in elections. Most striking of all was the election, in May, for Austrian president, in which the vote was half-half. It's going to be redone, but the important thing was the half that the anti-Muslim, anti-Islamic, anti-immigrant candidate won. [The margin of victory was] 30,000 votes and there is going to be a recount, so effectively it was half-half. This kind of insurgent party against Islam, nationalist, against sharia, wanting to support and extend national customs - it's on the rise in many countries around Europe. Not every single one, but [it is in] many countries in western Europe, where the Muslim presence is already substantial, in countries like France, Britain, Belgium, the Netherlands, Norway, Denmark, Sweden, Finland. Across the board, you see the numbers rising from single digits to the double digits, to 20-30 percent, and in the case of Austria now, even 50 percent. "It's more likely that an anti-Islamic, anti-immigrant wave will take power than that indigenous Europeans will quietly accept the Islamization of the continent." I think this is an augur for the future. [Even] in Eastern Europe, without substantial Muslim populations, one sees governments and one sees parties, such as in Hungary and in Greece, that are vociferously anti Muslim. So I would predict that it's more likely that an anti-Islamic, anti-immigrant wave will take power than that indigenous Europeans will quietly accept the Islamization of the continent. Now, this is not going to be a pretty sight. These parties are raw. They are in many cases quite extreme. They might be prone to violence. They will upset the existing accommodations, so it will be a rough ride. It will not be a simple repudiation – it will be nasty. To put it in its largest terms, Pax Americana, the unprecedented peace that Europe has had since 1945 under the aegis of the United States, is coming apart and Europe is in for tough times ahead. This is Daniel Pipes, present currently in Jerusalem.